It's no wonder that scuba divers love the magnificence of the spectacular under water reefs they so often visit. Likewise, it's not surprising that they want to stay submerged in a world that is so amazingly beautiful and serene. Gliding effortlessly through the waters surrounded by an eye-catching colorful array of fish is truly amazing. Yes, it is certainly true -- scuba divers have a quest for adventure! And they can find lots of it on a Key West dive day trip. A Key West dive is an endless adventure of discovery where you can fully immerse yourself in the pure enjoyment of simply being at one with such an amazingly beautiful and tranquil environment. Do you recall staying under water until you could no longer hold your breath when you were a child? Or snorkeling at the beach looking at schools of tiny baitfish that scurried past you? 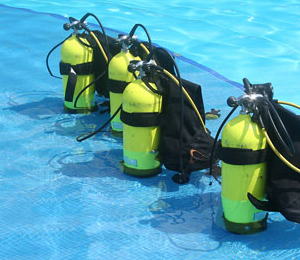 Chances are you were already destined to try scuba diving when you were old enough. Is it time to take the plunge? You know you can't wait to start your Key West dive adventure, as finally you'll be able to stay down and see the beauty of these famous Key West attractions up close and personal. 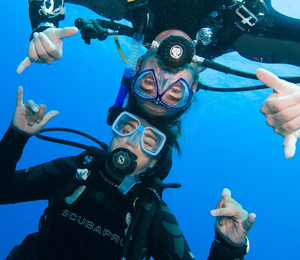 Whether you scuba dive frequently or just enjoy the rare dive during a holiday, a Key West dive day trip will certainly be fun. If others with you don't want to scuba dive, they can still join in for a fun filled day with a Key West snorkeling escapade while you head off to deeper waters. Either way, on your Key West dive trip, the friendly staff will brief you on the areas reefs, varieties of marine life, and safety tips that you need to be aware of before diving into the crystal clear waters of the Key West coastline. -Be Ready For The Dive: Get plenty of rest, drink lots of water, and watch what you eat before the dive as this can make the difference between a great dive and no dive. 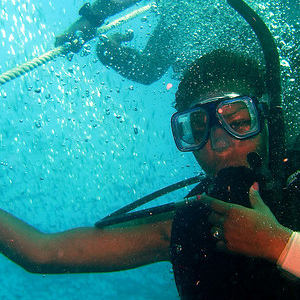 -Pre-Dive: Stay within your limits both physically and mentally. Finding out you don't know something at 100 feet below is not the best plan. 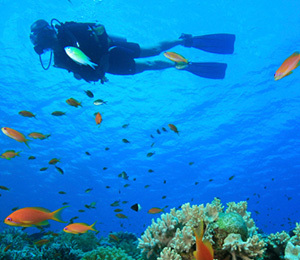 -During The Dive: Diving is fun and comfortable. If anything is uncomfortable, stop and find out why and then correct it. -After The Diving Day: Relax and get ready to do it all over again. If you have your own gear, soak it in fresh water before rinsing and hanging it up out of the sun. If needed again the next day, hang your suit up in front of a small fan to cut the drying time down. No doubt after you return home and tell everyone about your Key West dive adventures, you'll want to look at some other great diving and water activity based holidays.